Reasonable price with high quality services. The driver is polite and helpful. Even flight delay for more than 1 hour. Still waiting for us and no other charge. Car is safe and comfortable. One child, two adults with two 28 inch luggage. We book the type of HK$149. High C/P value. Complete this Klook activity to get 1%-5% of the activity cost back in free credits to use on your next booking. For example, book US$19.35 to get US$0.2 free credits. 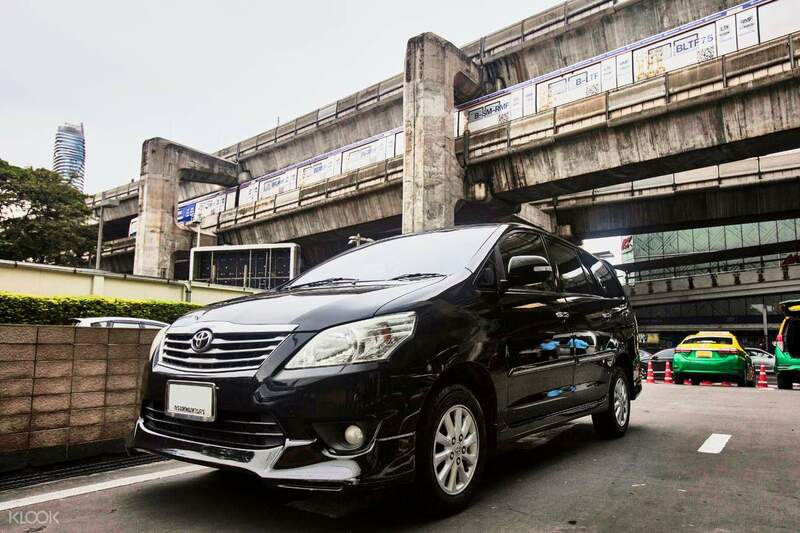 Start your Thai holiday right with convenient pick ups to or from Bangkok Suvarnabhumi Airport with this transfer! Manned by the reputable Thai Rhythm, be sure of quality transfer service when you book one today. 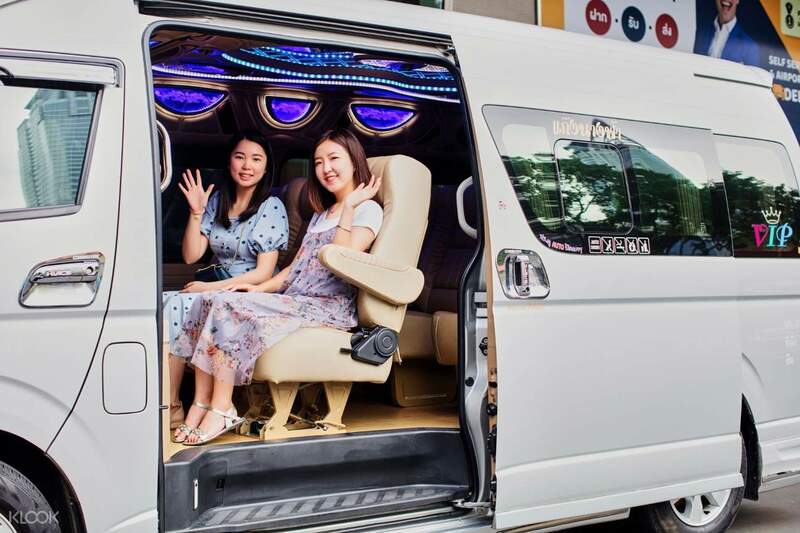 Just choose from their 5-seater car, 7 seater MPV, and their 12-seater van, all of which are equipped with air-conditioning and plush seats. Reserve your chosen vehicle in advance or at least 3 hours before your preferred pick up time and be greeted by a friendly local driver upon arrival. Enjoy a quick and easy ride as your driver speeds towards your destination. 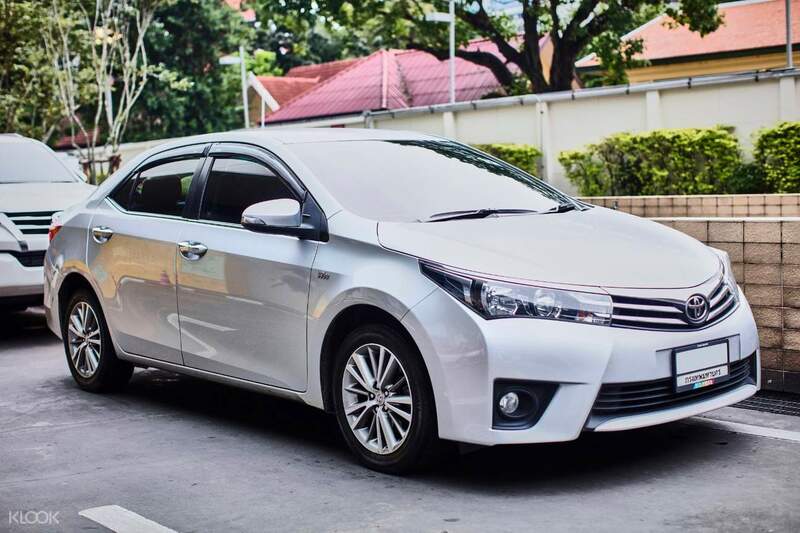 Book a car now for a hassle-free commute! 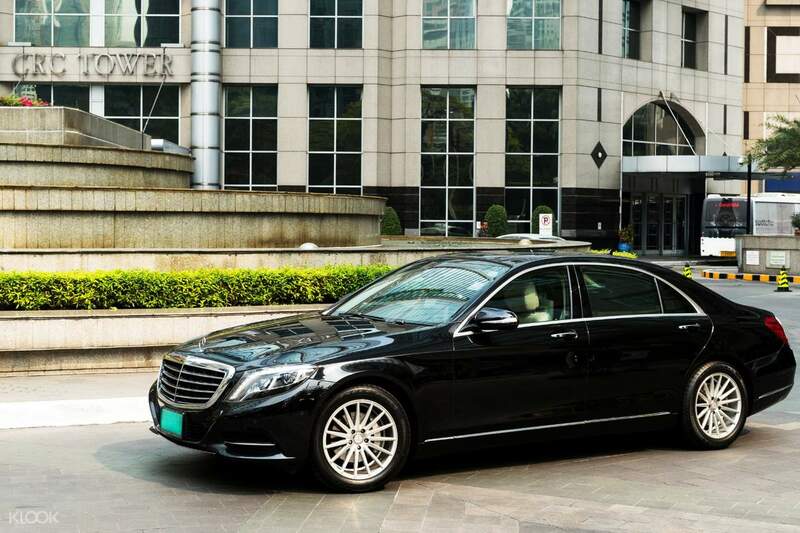 Experience a premier transfer service with Thai Rhythm's roster of luxury vehicles! We had a great experience with the driver we booked to the BKK airport. With Klook I was able to book this a week in advance & send my address & phone number all in English, so there was no misunderstanding due to the language barrier. The driver arrived 15 minutes early & even had the lobby staff call me to let me know he was here. He was very polite & helpful to load all our luggage. He was a safe driver as well. The vehicle was more than big enough for the 3 of us & all our luggage. When we arrived, he helped us to unload all our luggage. I will definitely use this service again. The price is reasonable & the driver was very professional. Thanks Klook! We had a great experience with the driver we booked to the BKK airport. With Klook I was able to book this a week in advance & send my address & phone number all in English, so there was no misunderstanding due to the language barrier. The driver arrived 15 minutes early & even had the lobby staff call me to let me know he was here. He was very polite & helpful to load all our luggage. He was a safe driver as well. The vehicle was more than big enough for the 3 of us & all our luggage. When we arrived, he helped us to unload all our luggage. I will definitely use this service again. The price is reasonable & the driver was very professional. Thanks Klook! Driver come on time, help put in and out the luggages in the car. Trip was smooth. Driver come on time, help put in and out the luggages in the car. Trip was smooth. Love, love, love using Thai Rhythm through Klook! The driver is reliable & arrives earlier than scheduled. This is very important to me when going to the airport & when you want to limit the stress of the trip. Really appreciated the driver helping to move all the luggage into the car. The drivers are always polite, although English is limited. 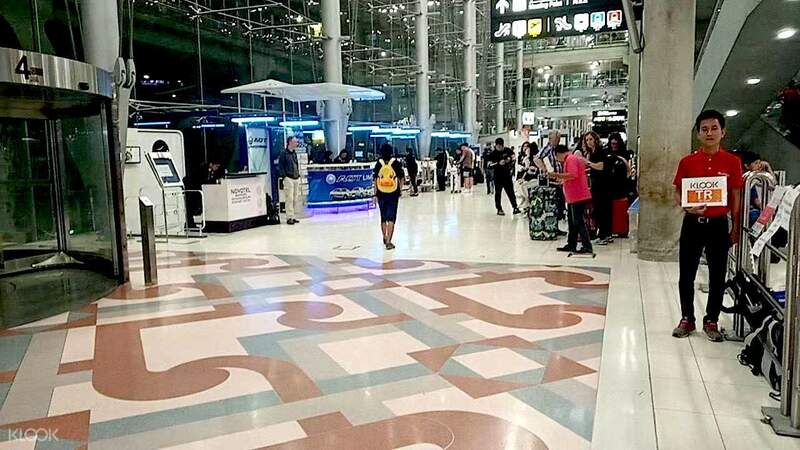 But, not a problem for me as long as the driver can see in his App that you are going to the BKK airport. Thanks Klook! I will continue to use this service for rides to & from the airport. Love, love, love using Thai Rhythm through Klook! The driver is reliable & arrives earlier than scheduled. This is very important to me when going to the airport & when you want to limit the stress of the trip. Really appreciated the driver helping to move all the luggage into the car. The drivers are always polite, although English is limited. But, not a problem for me as long as the driver can see in his App that you are going to the BKK airport. Thanks Klook! I will continue to use this service for rides to & from the airport. Very good service. Easy to find. Van was on time and helpful. Very good service. Easy to find. Van was on time and helpful. The driver was on time for the hotel pick-up. The vN was spacious for 10pax and 10 luggages. Will definitely recommend! The driver was on time for the hotel pick-up. The vN was spacious for 10pax and 10 luggages. Will definitely recommend!